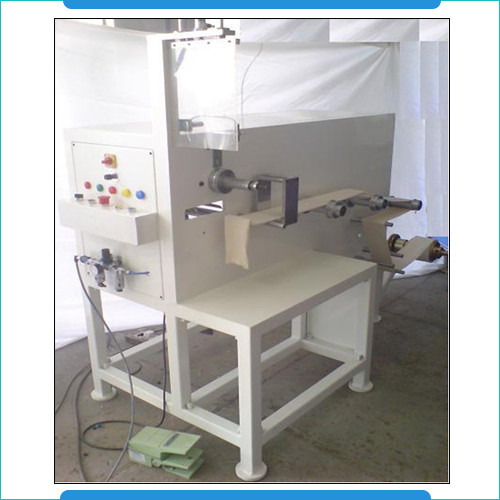 Cloth Coiling Machines find application in winding fabric in edge control. These are available in different specifications in terms of Motor power, Winding speed, Winding roller configuration, Edge control device and others. 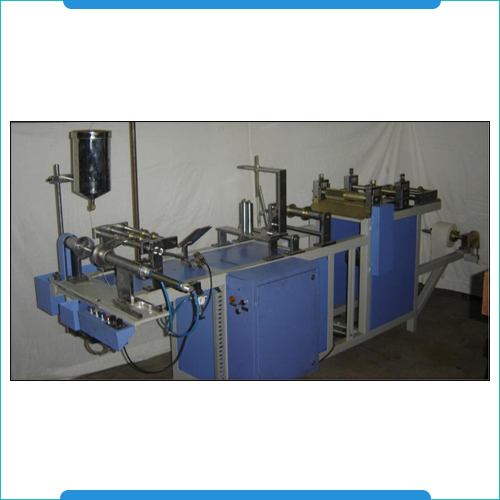 These also come with mechanical loading and braking arrangement for meeting the placement demand of cloth rolls. The other options available with these machines include pneumatically operated collet for 1.1 ltr and 0.5 Ltr, diameter control sensor (providing adjust for 1.1 and 0.5 ltr filters), automatic pneumatically operated cloth cutting arrangement and poly carbonate protection guard for operators. Other than this, some other features of these machines include Geared motor of 0.5 HP 3 Ph. 50 Hz, AC variable drive, PLC based control panel with window, SMS make pneumatics and working power of 220V, 1 Ph. 400Watts. Pneumatically operated collet for 1.1 ltr And 0.5 Ltr. Diameter control sensor (adjust for 1.1 and 0.5 ltr filter). Automatic pneumatically operated cloth cutting arrangement. Poly carbonate protection guard for operator. PLC based control panel with window. Power: 220V, 1 Ph. 400watts. The CAV Coiling Machines features smooth operations and consistent working. These come with single filter paper roll mounting stand, provision for corrugation of half of the edge and folding arrangement of paper. It also possess pneumatic operated collet to hold center tube as well as SS tank with fevicol holding capacity of 05 ltrs. With facility to change as per widths of filters (60mm to max150mm), the machines are able to deliver 600-700 filters per shift. Functioning on power of 220V AC, 50 hz, 1.2kw, the machine also comes with control panel for efficiently handling of the involved operations. Corrugation of half of the edge. Pneumatic operated collet to hold the center tube. Capacity  600-700nos filters per shift. Power: 220V AC, 50 hz, 1.2kw.